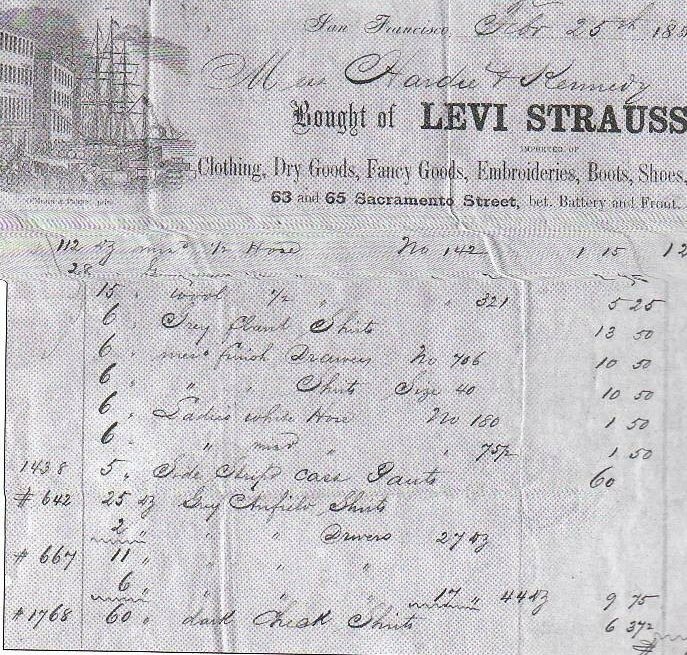 This list shows Levi Strauss & Co.'s early merchandise, including checked shirts, side stripe "cass" pants, etc. 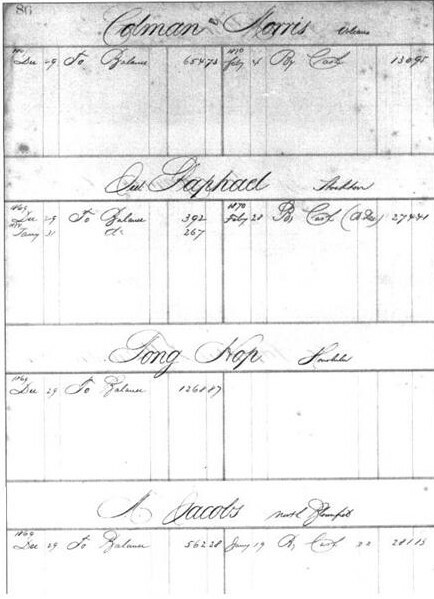 This ledger page, circa1869, shows the geographic ranges of Levi Strauss & Co.'s buisnesses. 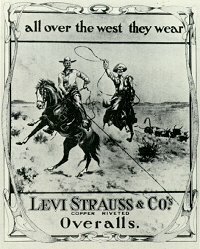 Levi Strauss & Co. registered the Two Horse trademark, which protected it from copying in Australia, South Africa, and Japan. 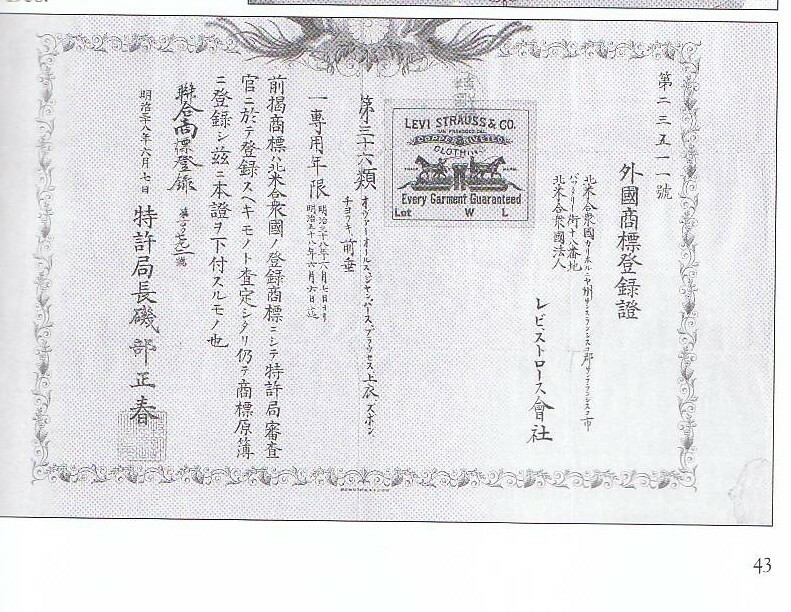 This is the Japanese trademark document. This is an advertisement dating from 1918 for Freedom-Alls; a one piece garment for women. 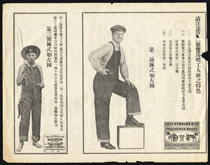 This document was also an advertisment printed in Chinese and issued to China to help popularize jeans outside of the US. 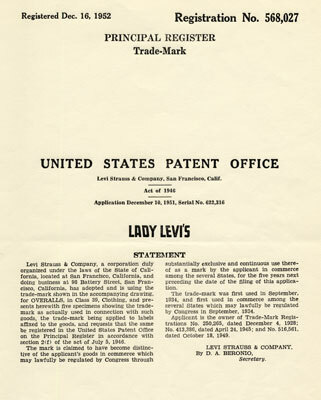 This is a document of Patent #568,027 that was issued to Levi Strauss & Company for the first Lady Levi's Jeans. 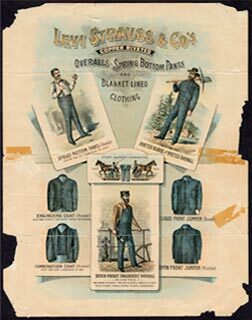 This is one of the oldest advertisment documents that Levi Strauss and Co. had issued in newspaper adds, magazines, etc. This is the earliest known Guarantee Ticket, which was a label made of oilcloth that was sewn onto the back pocket of jeans, starting around 1892. The label used to be printed was printed on the interior pocket bag, but after the patent expired, Levi Strauss & Co. decided to print it where it could be seen on the shelf. This photograph document was the design of Jacob Davis's idea of improving the fastening pocket openings of the blue jeans. It was eventually binded together with the U.S patent that Jacob and Levi applied for. 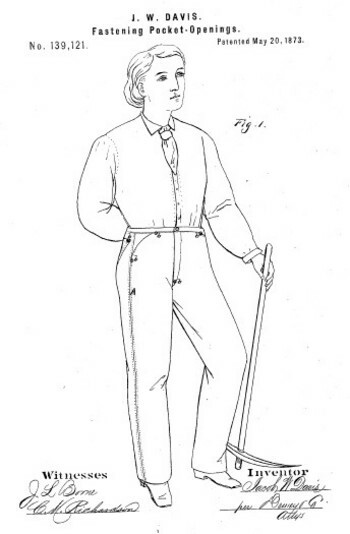 Patent #139121 was issued to Jacob Davis and Levi Strauss & Company on May 20, 1873 from the U.S. Patent and Trademark Office making them the first to be notable for inventing blue jeans. 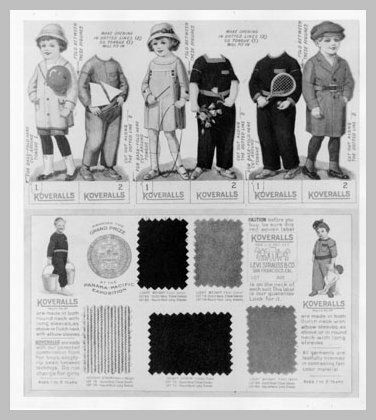 This is an old flyer advertisment issued from Levi Strauss & Co. to show the different types of jobs the blue jeans can be worn for. From this old advertisment document, we can see that Levi Strauss & Co.'s blue denim jeans were aiming for the cowboys in the West. This is an old document that shows how the Levi's Company eventually aimed for its international clothing line all over the globe. This flyer was used to explain to others in their own navtive language (depending on what country they lived in) of what jeans were and how they would benefit from it. This is a diagram of a modified jeans pocket from the Levi's Company. 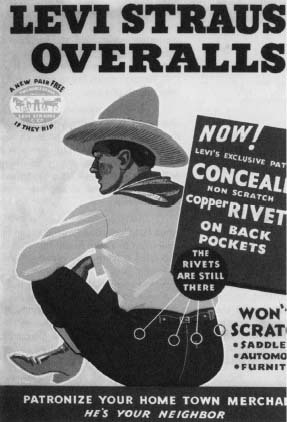 This advertisment is used to show the people that the coper rivets kept the jeans together which was the marked Levi's quality.